Senior Living › Senior Living Blog › Senior Living Resources › Help! Mom’s Assisted Living Community is Closing Down! The vast majority of people who make a move into assisted living intend to stay put there as they live out the remainder of their lives. Indeed, one of the many benefits of assisted living is that there are generally several levels of care available to residents. These different care levels in theory help a resident stay in the same assisted living community even if their health continues to decline. 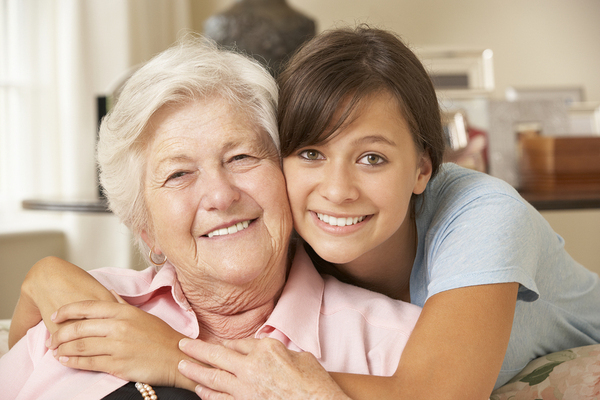 An assisted living move can be traumatic for your loved one. However, some assisted living residents have the unfortunate experience of moving in and getting acclimated to their new environment only to find that their facility is closing its doors. Citylab’s “When Seniors Can’t Count on a Place to Call Home” recounts the story of Mary Berger, who moved to an assisted living community in a New York neighborhood when she found it no longer possible to live alone. Mary was happy in her new community, quickly settling in and making friends with other residents as well as staff members at the facility. But shortly thereafter, the management of the facility told residents they had just 90 days to move. Sitting on a prime piece of real estate, the home had been sold. Unsettled by the surprise announcement, Mary was ultimately forced to leave her new home. Within a few short months, Mary fell ill and was in and out of hospitals and rehabilitation centers until her death in January 2015. Sadly, Mary’s story is not a one-time occurrence. Across the nation, several assisted living communities have closed their doors, either because of sale of the business or through a governmentally-mandated closure. Regardless of why such closures occur, however, there is a serious complication that arises. It is commonly known as “transfer trauma”. According to the Wisconsin Relocation Ombudsman Specialist, Tom LaDuke, transfer trauma is a term that is used to describe physical, mental, and emotional changes that occur in residents of institutional settings who are moved from one place to another as a result of a natural disaster, or a facility closing, or a change in care. Symptoms of transfer trauma can occur before, during, and after a move to a new facility. Transfer trauma can affect mood, behavior, and even physical health. Mood changes can include: sadness, anger, irritability, depression, and anxiety. Behavioral changes include: combativeness, screaming, withdrawal from social interaction, wandering, abusive behaviors, and even refusal to take medications. Physiological symptoms include: digestive difficulties, increase of pain, confusion, sleeplessness, weight loss or gain, poor appetite, or increased dependence on drugs. In some extreme cases, transfer trauma has led to a cascading group of symptoms that hastens physical and mental decline and leads to death. Tour the new facility with your loved one: If possible, arrange a tour of the new facility for your family. Time your visit to coincide with social events or programs in the community, thereby exposing your loved one to other residents to see if he or she will be comfortable there. Choosing a facility that advocates person-centered care is a good way to decrease the likelihood of transfer trauma. If your loved one needs to make a move from one assisted living community to another, it is important to provide support, love, and encouragement before, during, and after the move. The effects of transfer trauma can be mitigated by including your loved one in the decision-making process as much as possible and choosing a new assisted living community that focuses on person-centered care. If you are currently facing an assisted living move, please speak with one of our care options advisors today to start your search for senior housing.